Kentucky Schools focus on providing a warm culture and climate for both students and staff conductive to high levels of productivity and outstanding academic performance. 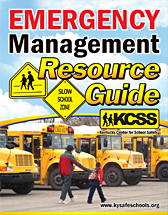 In today's society, school safety is a daily issue that ranges from classroom management to school incident command for crisis situations. 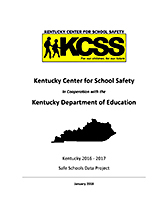 The Kentucky Center for School Safety staff is committed to providing training, resources, information and research. This website is available for planning, training or emergency assistance. On Wednesday, March 27, Governor Matt Bevin ceremoniously signed Senate Bill 1, also known as the School Safety and Resiliency Act, into law. 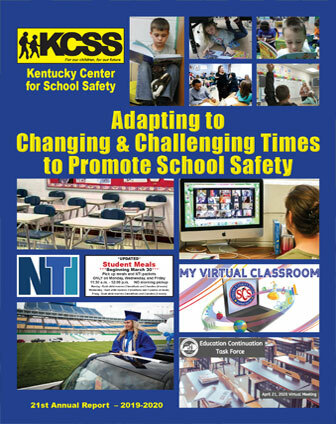 The Kentucky Center for School Safety and Kentucky Association of School Administrators would like to acknowledge youth who have taken an innovative leadership role in school safety. This award will reflect the mission of its namesake, the late Steve Kimberling, who was a state leader in advocating for safe and healthy schools. The Youth Leadership in School Safety Award will be presented at KASA’s Annual Leadership Conference, July 18, 2019 at the Galt House in Louisville during the Principal’s luncheon. This year’s Award includes a $3,000 check to the school to be used for school safety purposes. The 2019 School Violence Prevention Program (SVPP) is a competitive grant program that provides funding directly to states, units of local government, Indian tribes, and public agencies (including school districts and local law enforcement agencies) to be used to improve security at schools and on school grounds. Awards may include funding for coordination with local law enforcement; training for local law enforcement officers to prevent school violence against others and self; placement and use of metal detectors, locks, lighting, and other deterrent measures; acquisition and installation of technology for expedited notification of local law enforcement during an emergency; and/or any other measure that may provide a significant improvement in security. This Video explains how to administer Naloxone/Narcan when someone overdoses on opioids while on a public school campus. Many schools have Narcan kits already in the schools but this video will assist preparing school personnel when the need arises. Reading the instructions alone can be confusing. Renee Shaw and guests discuss school safety. 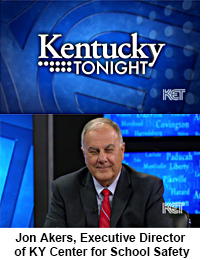 Scheduled guests: State Sen. Max Wise, R-Campbellsville, chair of the Senate Education Committee and co-chair of the School Safety Working Group in the Kentucky Legislature; State Sen. Reggie Thomas, D-Lexington, Senate Education Committee member; Dr. Joe Bargione, retired school psychologist from Jefferson County Public Schools; and Jon Akers, executive director for the Kentucky Center for School Safety. 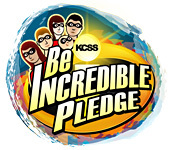 CHECK OUT THE SCHOOL CREATED VIDEOS BELOW...INFORMING THEIR STUDENTS ABOUT THE PROGRAM! 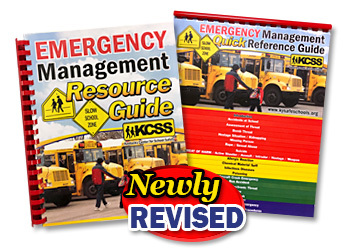 Check out our Emergency Procedures page with fillable forms linked from this document and Word documents to make it your own. 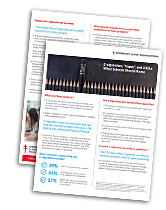 School safety planning was never simpler! While bullying doesn’t cause suicide, a stressful environment and persistent, emotional victimization can increase a person’s risk of suicide. Together, we can create awareness about the dangers of bullying and give emotional support to those who may be contemplating suicide. If you or someone you know is in an emotional distress or suicidal crisis, please call the Lifeline at 1-800-273-TALK (8255). Gov. Bevin signs Senate Bill 1 – March 27, 2019 - WPSD Local 6 - (FRANKFORT, KY) - Kentucky Governor Matt Bevin ceremoniously signed Senate Bill 1, also known as the School Safety and Resiliency Act, into law Wednesday morning. .